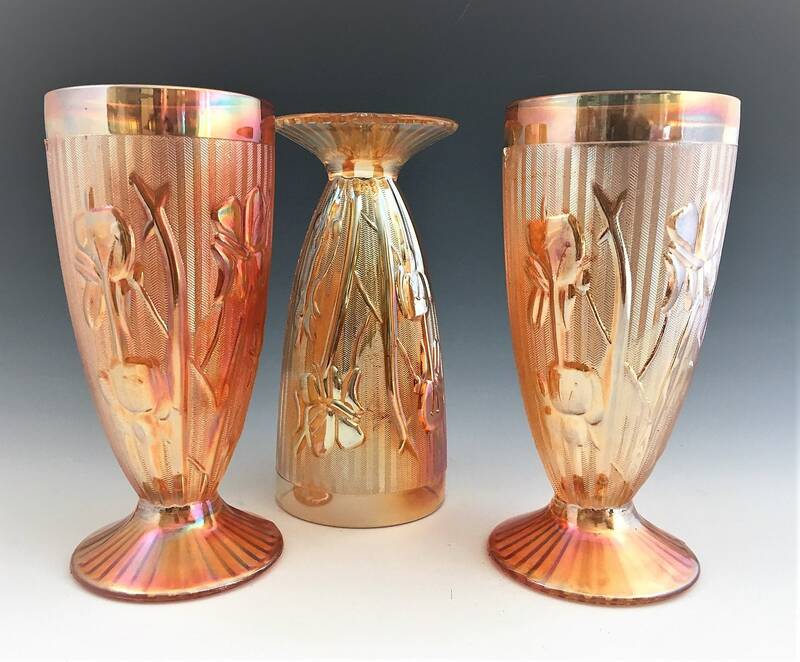 Featured is a cool collection of three tumblers from Jeannette Glass. 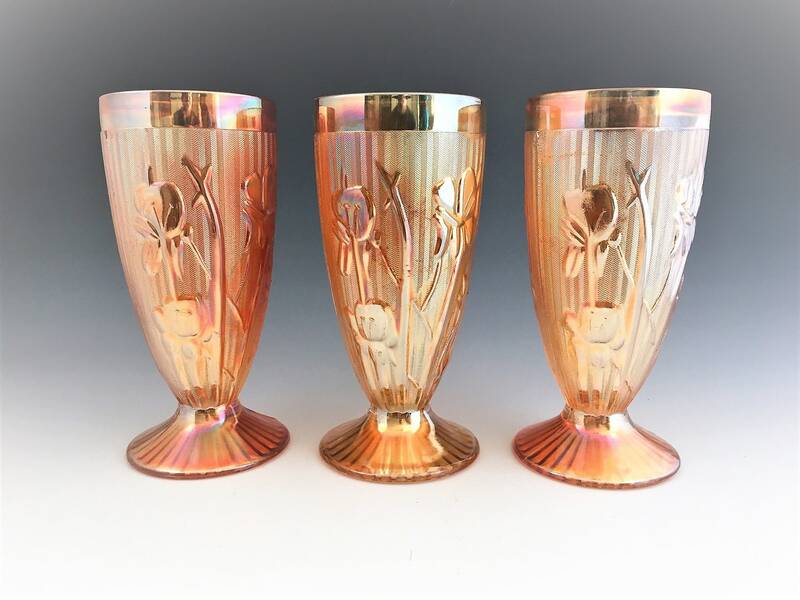 The are 8 ounce footed tumblers from their Iris pattern which was produced from 1928-32. These three tumblers are iridescent marigold in color. They measure about 6 1/8 inches tall. 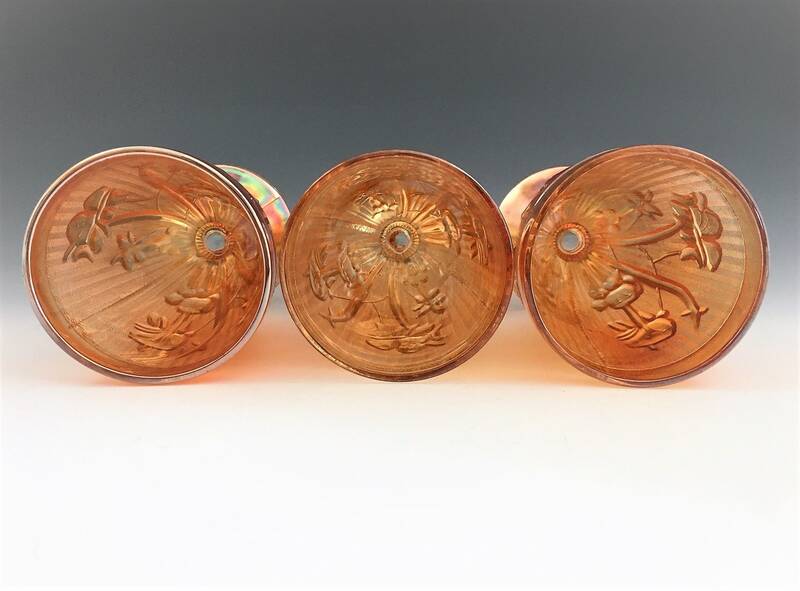 All three pieces are in excellent condition, free from any chips or cracks. All 3 offered here for one low price.